You can run Isoo Bakcup under Windows and perform system restore. Besides, you can use the following two methods to start the program so that system can be done under any circumstance. 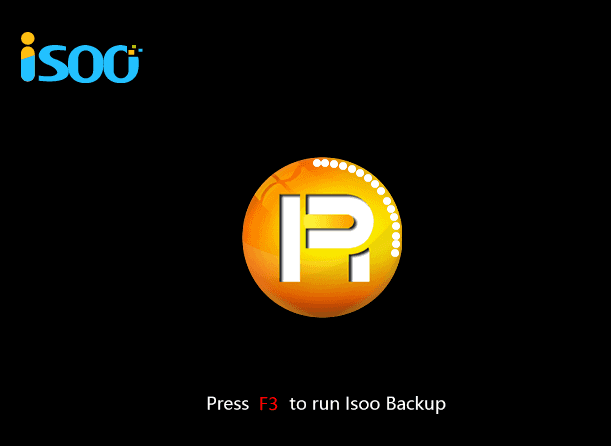 1.You can press F3 key to run Isoo Bakcup before system is booted. The shortcut key F3 can be changed to other keys like F4, F5, etc. 2. 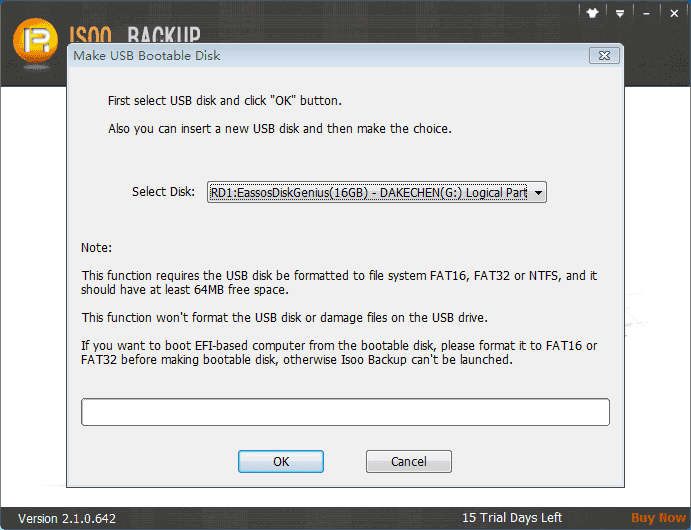 USB bootable disk of Isoo Bakcup. 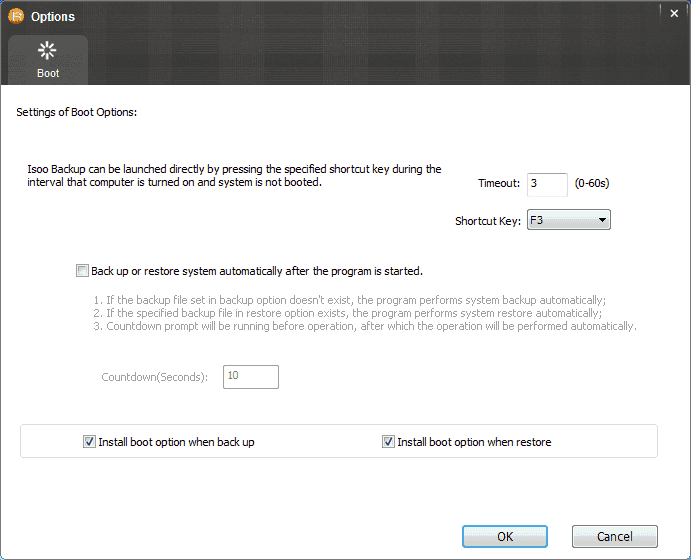 When you backup system, the boot option mentioned above is installed by default. If you don't like that boot style, you can unselect it when making advanced settings. 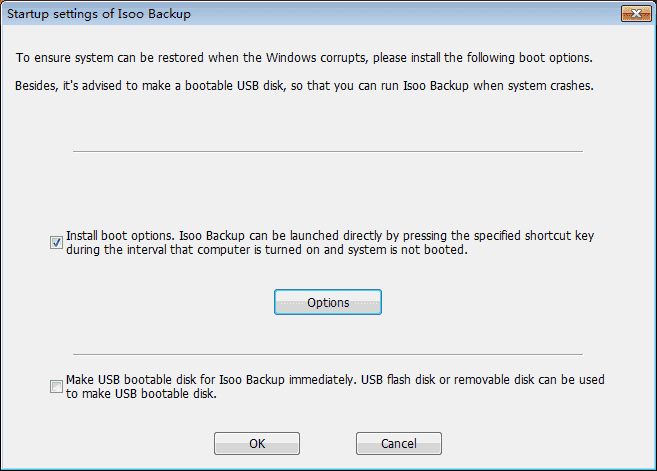 If no boot option is installed, you can follow steps here to install one so that you can perform system restore when Windows crashes. Select the first option on the message box below and click "Options" button. 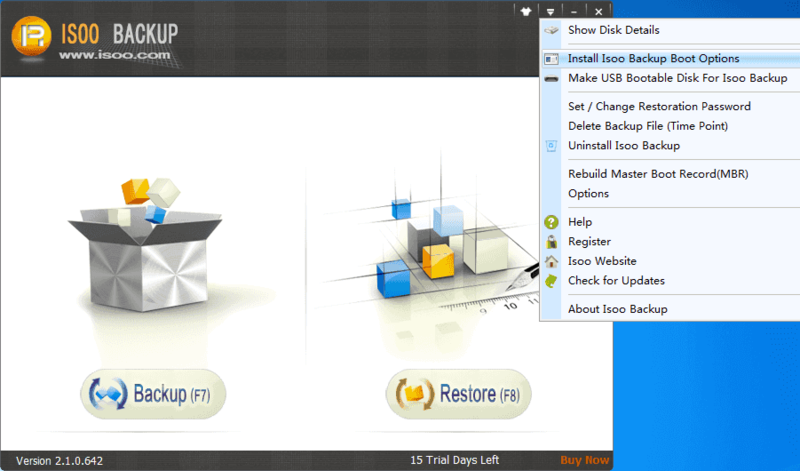 Click menu on the main interface and select "Uninstall Isoo Bakcup" item. 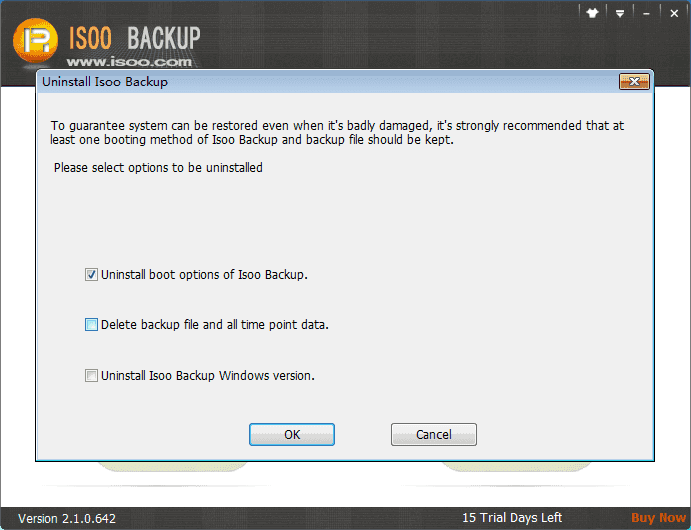 Select "Uninstall boot options of Isoo Bakcup" on the uninstall windows. Select the USB flash drive you inserted and click "OK" button. Copyright © 2010 - 2019 Isoo Technology Co., Ltd.